The consumer behavior with respect to retail has changed considerably since the advent of internet. You will find the consumer spending more time online, in order to research on a product. Even if the consumer is planning on purchasing the product offline, they tend to research on the product online. In this multi-device world, e-commerce and m-commerce are gaining popularity. Consumers find it easy to search and buy the products that are relevant to them in the most convenient manner possible. 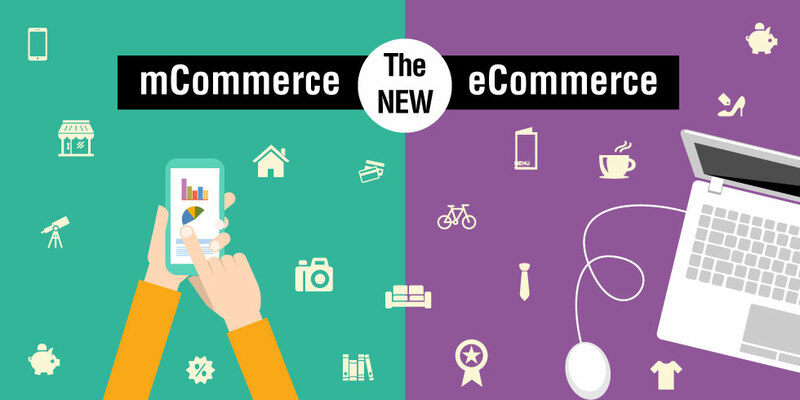 Let’s take a look at both e-commerce and m-commerce to understand how they rule consumer behavior. It is also important to consider the movement of consumers from e-commerce to m-commerce and map their journey. E-commerce has become quite vocal in the present times. You will see that e-commerce has taken over major spaces, bringing in convenience. You can perform banking transactions at any hour; shopping and other e-commerce solutions are at your disposal at all the odd hours possible. E-commerce has spread its wings across the different sectors, and made things easy for you. Conversions and profitability for the companies have improved with e-commerce solutions. E-commerce has the capability of ringing in the best possible consumer insights on the desk. You are connected to consumer buying behavior, and you can offer the best solutions based on the insights. But, as with all solutions, e-commerce comes with limitations of its own. It is not really mobile in the way it conducts itself. There are security and privacy concerns associated with e-commerce. The platform is not yet perceived as complete secure, despite including some of the best security solutions on the platform. The telecommunication bandwidth for the solution is insufficient to solve the purpose. For e-commerce, the software development tools are still in the evolution stage. Internet and e-commerce cannot be integrated into some of the existing applications and database with ease. Compatibility issues also prove to be a limitation. There has been an increase in the number of smartphone users in the past year. From, 10.8% in 2014, it has reached 11.3% in 2015. Multi platform has risen in retail from 53% in 2014 to 57% in 2015 (Source: Comscore Data) This shift is ideally the primary reason for increasing shift towards m-commerce. Retail is multi-platform, as people consider a particular platform to choose and another to buy from. Most often than not, mobiles are considered for research and selection purposes. M-commerce offers the stores mobility, that was absent in e-commerce. M-commerce applications tend to be more location specific and are more personalized offerings. It offers an intimate store-user relationship which can pull the audiences towards it. It offers time sensitive transactions, which can benefit the user. It is real time, and offers to be real fast, which is what the mobile customer needs in today’s time and age. M-commerce is absolutely great when it comes to location specific outputs, as against e-commerce.